The Internet is filled with clever and extravagant ways in which people have proposed to their loved ones and one London magician’s proposal is right up there with the best. 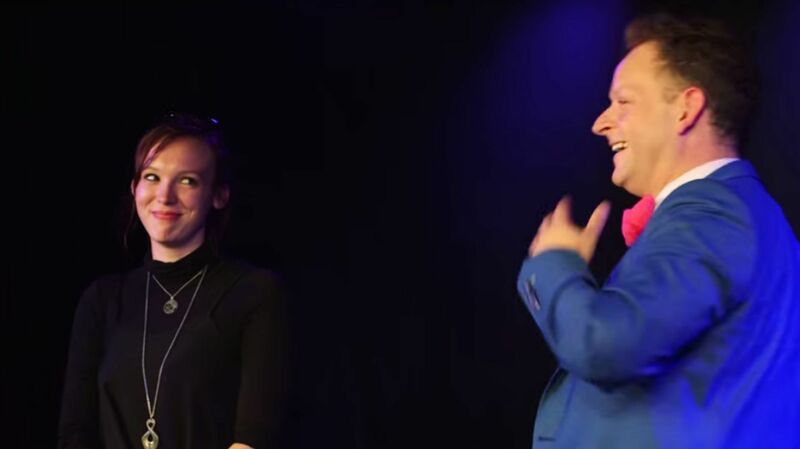 According to the Daily Record, magician Neil Henry met his girlfriend, Charlie Gardner, at the Edinburgh Festival Fringe in Scotland in 2013, when she was designing a costume for a play that he was in. And two years later, at the 2015 Edinburgh Festival Fringe, Henry decided it would be the perfect time to propose (and the moment was captured on film). In the YouTube video Henry uploaded he can be seen swallowing enough alphabet soup to fill a wine glass, followed by a lengthy piece of string. He then calls his lady onto the stage for her assistance — and it’s what happened next that will really melt your heart. It’s a wonderful, unique proposal but even more beautiful is the couple’s happiness. Watch the video to see exactly what happens but be warned there are a few expletives from the bride-to-be. Are you impressed by this magician’s proposal? Let us know your thoughts in the comments below.